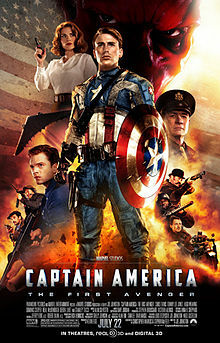 Captain America leads the fight for freedom in the action-packed blockbuster starring Chris Evans as the ultimate weapon against evil! When a terrifying force threatens everyone across the globe, the world’s greatest soldier wages war on the evil Hydra Organization, led by the villainous Red Skull. The U.S. carried out a systematic program of racial clearing of the valuable land of Native Americans. I don’t know of evidence many thought of it as genocide or even ethnic cleansing, though some probably did, since Social Darwinism of various kinds was loose in the world and by the early twentieth century some might have thought of it in genetic terms. I think most of the massacres and policies that led to the rapid dying away of the millions of Native Americans were aimed at getting control of the valuable lands at the local and national level. When you get to Jackson’s slaughter of the Seminoles in the Florida Glades and the later March of Tears to Oklahoma, etc., which would make Bataan look tame, you realize how horrific the U.S. Racial Clearing was. Sheridan was a late comer. And when you see the massive forcing of native Americans onto useless land that could not support them, imprisoning them in open air concentration camps (“Reservations”), and letting them die away on booze and government handouts that were inherently very unhealthful, Sherman burning a huge swath across Georgia and burning a big city like Atlanta, and the use of vast firepower against Vicksburg and other Southern areas, and Sheridan’s slaughters, you know the U.S. ushered in the modern age of total warfare against nations and immense slaughters committed in a rage of moralistic hubris and greed and blood lust. 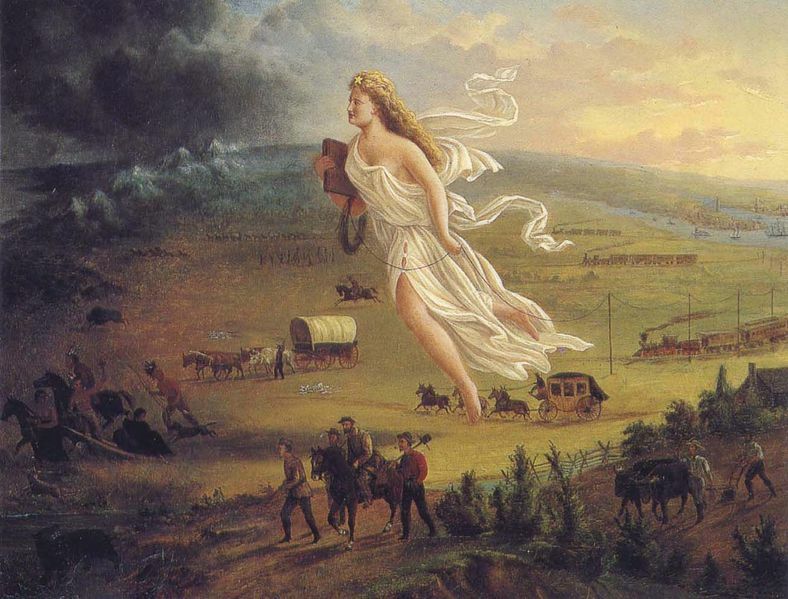 And look at Lincoln and the other Republicans who made huge land grants to Big Rail Roads in the West of Indian lands the size of France. They gave away those vast lands indiscriminately which continue to this day to vastly enrich some, such as Burlington-Northern under its new names – and the Fascist Hero Buffet who bought the whole gigantic B-N Corp. and much of that huge basin of gas and coal they’ve found from Canada down into North Dakota. I think that’s a case where simple justice would be served immensely by turning that huge area into a Native American Trust Fund for rebuilding their homes and lands and cultures – and help them escape the diabetes and gambling trap. The British concentration camps in S. Africa and the Nazi Death Camps had their beginnings in the vast annihilation of Christian and Classical Liberal Standards that began in the U.S. and the similar clearings of Native Americans by Spain and local states south of our border (and to a lesser degree in the Russian pogroms against Jews in the nineteenth century). The late Bill Marina and I started realizing those things, after all that Textbook Fantasy Propaganda, in early high school at Miami Jackson (named after that Seminole mass murderer) , the tenth grade, and began talking about some of it in my tenth grade civics class run by a wonderful teacher, Mrs. O’Hara, dedicated to Liberal Education principles and practices of free speech. We especially talked about the totally unnecessary nuclear bombing of women and children in Hiroshima and Nagasaki. Once you begin to see those things clearly for what they were, you cannot go back to the mindless American Hero Fantasies and you see more and more clearly how awful the U.S. global empire has been for mankind and finally that it is the greatest threat mankind has ever faced. It took decades to get to that, but, once you can see clearly where before you could not see at all, the awful truth of American guilt dawns slowly on you. Jack D. Douglas is a retired professor of sociology from the University of California at San Diego. He has published widely on all major aspects of human beings, most notably The Myth of the Welfare State. The US Massacre Mentality by Jack D. Douglas is an incisive commentary of how the US government rationalizes atrocities committed against anyone deemed an enemy. I awakened from my dream only when Bush Senior’s promised Peace Dividend failed to ever materialize. The American Imperium trotted out one rationalization after another to justify its War on Drugs, its War on Terror, its War on the Evil of the Month. The chimera known as the Peace Dividend just kept receding into the future. But the biggest disillusionment came with Imperium Americanus’ unrelenting Cold War against Mainland China, despite the fact that it had abandoned Communism and embraced free markets. That’s when it finally dawned on me that the US government’s rampant colonialism, imperialism, and racism had no higher purpose. Instead, it was nothing more than naked Social Darwinist aggression. American preoccupation with righting wrongs the world over reflects an desperate effort to assuage a guilty conscience. The American preoccupation with “liberating Tibet” is a textbook case of psychological projection. Redressing historical mistreatment of American Indians would be emotionally upsetting and might open the floodgates to costly demands for reparations. Far cheaper, both morally and fiscally, to go after China, a convenient scapegoat. 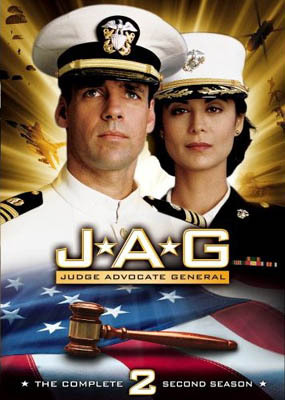 I recently watched all 10 seasons of the enormously entertaining 1995-2005 military procedural series “JAG,” in a single, month long sitting. J.A.G. – Military parlance for Judge Advocate General’s corps. JAG follows the adventures of Harmon “Harm” Rabb Jr. Given far-ranging powers as a detective, prosecutor, and defense attorney. Harm now works alongside Marine Corps attorney Sarah “Mac” MacKenzie, who shares Harm’s desire to seek out the truth in every case and keep the delicate balance between what’s good for the military and what’s best for the common good. As I watched one episode after another of JAG in swift succession, I realized how far I had come over the past two decades. The personal dynamics between the well-drawn, highly attractive characters were no less enjoyable to watch. But the “My country right or wrong” politics of many JAG episodes left me shaking my head. I found it hard to believe that I once subscribed uncritically to that self-congratulatory, “America can do no wrong” mindset. Douglas is right. Once one has seen the light, one cannot go back to the mindless American Hero Fantasies. The US government today is like a strong man who has known power all his life. He has lost respect for that power. He has forgotten what it is like to be weak. He has forgotten the value of strength. He does not know compassion. He has not stayed what he once was. He may be a perfect solider, but he is no longer a good man. Dr. Erskine would be dismayed to learn that the country he fled to has become just like the Nazi Germany he fled from. Today, the US government hardly “leads the fight for freedom.” Today, with its post-9/11 police state measures, it leads the fight against freedom. Today the US government is not “the ultimate weapon against evil!” Today, with its killer drones, it is the ultimate weapon for evil. It is the terrifying force that threatens everyone across the globe. Today the world’s greatest solider is the evil Hydra Organization (Military Industrial Complex), led by the villainous Red Skull (Trotskyite Neo-Conservatives). Conventional monopolistic government, once it acquires power, is the same everywhere. Every government on earth is susceptible to the same absolute corruption by absolute power. The only antidote to this corruption, to statism, and the resulting Chauvinism, jingoism, and delusions of national exceptionalism, is Free Market Anarchism.